Glass Factory Road may be the first complete etching I ever did. 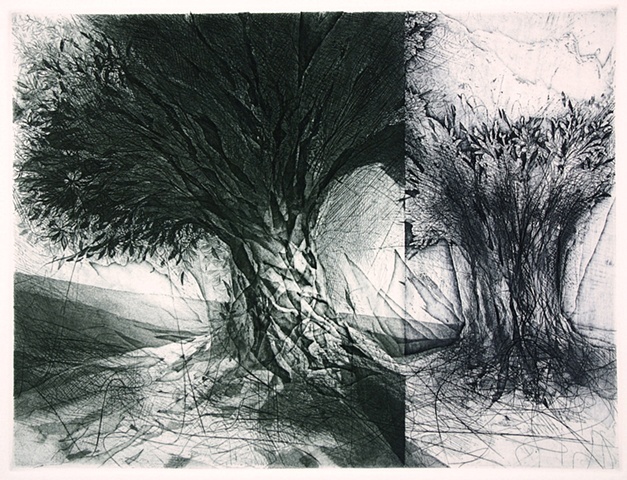 The sculptural quality of the print, especially around the tree trunk, is the result of much (too much) open biting. I'll never do that again. All of those fractured, jagged shapes reminded me of broken glass which lead me to the title. It's really a still life disguised as a landscape.